“Sandy” – Go to where the pictures are. ~cg. November 2012. 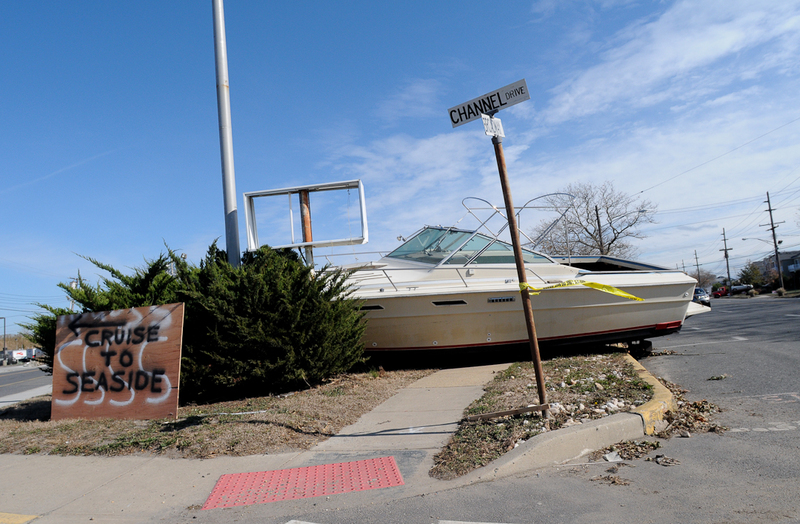 I grew up on the NJ Shore, just north of where Hurricane Sandy made landfall last week. I knew I’d want to get down to the area as soon as my schedule allowed. Managed to return to Point Pleasant this morning for a few hours. Here are a few favorites from the day. For a few brief moments, it was all kind eerily similar to working in the Lower Ninth Ward in New Orleans after Hurricane Katrina, or at earthquakes in Turkey, El Salvador or Haiti, and hurricanes Mitch in Honduras… ~cg. This entry was posted on Tuesday, November 6th, 2012 at 2:34 AM. It is filed under Personal Work: and tagged with beach. You can follow any responses to this entry through the RSS 2.0 feed.